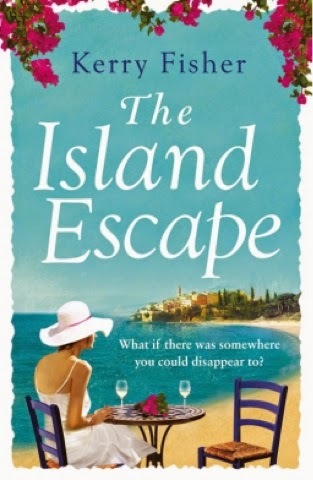 Thank you so much for inviting me onto your blog to talk about how I researched the settings in The Island Escape. I really enjoyed indulging my love of travelthrough one of the main protagonists, Octavia. She is very free-spirited and imagined that she would lead a bohemian life with barefoot kids on a beach somewhere exotic. Instead she ended up in suburbia, married to her unadventurous husband, Jonathan. Her best friend’s divorce is the catalyst for setting her thinking about ‘the one that got away’, which leads her back to Corsica where she lived nearly two decades earlier. When I was considering Corsica as a location, it started me thinking about the gulf between what you imagine your life will be like when you’re carefree at twenty and the reality when you’re forty. I’ve been very lucky – fortunately for me, the ones ‘who got away’ headed to the hills, dust and heels flying, never to be seen again! But it didn’t stop me wanting to write a story of someone whose ‘what if…?’ had a different outcome. I’d love to be able to say I took a luxurious research trip to Corsica to write that part of the book but actually I relied on Google images, my own photographs and my memory of teaching English there for a year when I was nineteen. I lived up on a hillside in a boarding school, which served all the surrounding mountain villages. The kids arrived on Monday morning and disappeared off on Friday night. At weekends, I was on my own in a hugeschool, with a myriad of doors, dark corridors and axe-murderish corners to navigate before I could escape back to the village. There, my companions were stray cats or old men playing cards in the bar. Thankfully, a French girl my own age came to work at the school and together we explored the island. Thirty years later, it’s astonishing how clear my memories are. The transparent sea where we caught and ate sea urchins. The wonderful rock formations, the sunsets and the strong perfume of gorse (the maquis). And a sense, at all times, of how small the island was, how claustrophic, how anyone you spoke to always had a cousin, aunt, brother who worked at your school or knew one of your pupils. The Island Escape also has several scenes in nearby Sardinia, where I travelled when my English friends came to stay. With the nonchalance of youth, we went on a camping holiday there, without a tent. We slept under the stars one freezing April, knocking ourselves out with some god awful rosé wine that we drank straight fromthe carton. I still remember the chill of the damp sand beneath my sleeping bag, though I wish that I’d appreciated my youthful ability to leap up the next morning without a creak or groan. Can one woman’s marriage survive her best friend’s divorce? 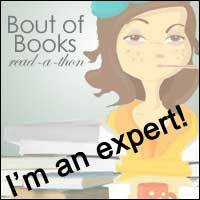 Fans of Veronica Henry and Erica James, this is the next book to add to your reading list. Octavia Shelton thought she’d have a different life. One where she travelled the world with an exotic husband and free-spirited children in tow. But things didn’t turn out quite like that. Married to safe, reliable Jonathan, her life now consists of packed lunches, school runs and more loads of dirty washing than she ever thought possible. She’s not unhappy. It’s just that she can barely recognise herself any longer. So as Octavia watches her best friend’s marriage break up, it starts her thinking. What if life could be different? What if she could escape and get back to the person she used to be? Escape back to the island where she spent her summers? And what if the man she used to love was there waiting for her…? Great to read about Kerry's inspiration for this lovely book. I spent my honeymoon on Corsica so it has a special place in my heart. Lovely to see Kerry's book is getting a lot of publicity. Sounds gorgeous for location!